Just in time for the holiday gift-giving season, PIER 22 starts its bonus certificate deal. 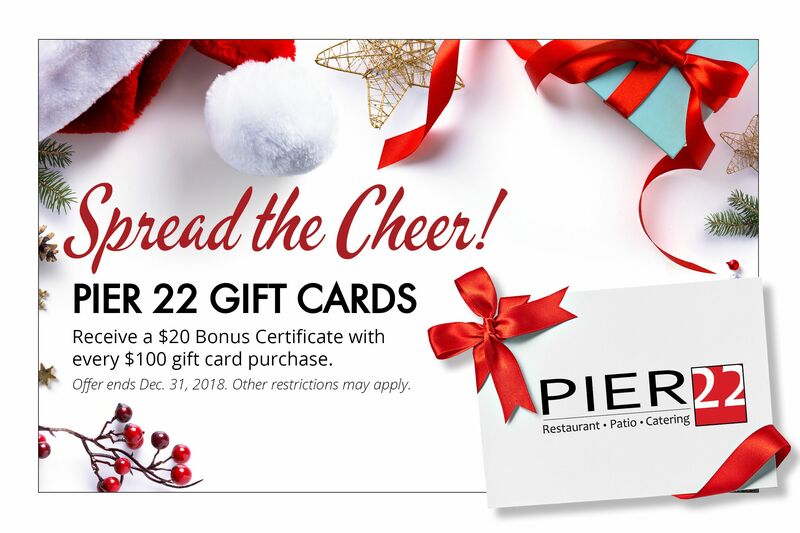 Shoppers will receive a $20 bonus certificate for every $100 in PIER 22 gift cards purchased from Nov. 1, 2018, through Dec. 31, 2018. The offer is good on purchases made online and in the restaurant. Some restrictions apply. Bonus certificates are redeemable Jan. 1, 2019 through Feb. 13, 2019.